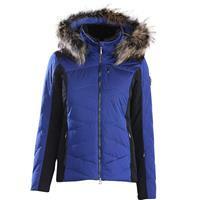 When you're out on the mountain, you want the right clothing that will keep you warm and feeling great. Skiing and snowboarding bring unique conditions that other athletes don't have to worry about — cold temperatures, moisture and wind chill. Using the right equipment and wearing the right stuff will keep you comfortable during those conditions. One big part of your ski getup is your jacket. 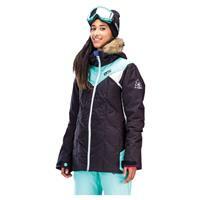 There are lots of different options for ski jackets out there, making it overwhelming in finding the right one. Each type of jacket has its own unique pros and cons — pick the one that best fits your style and needs. 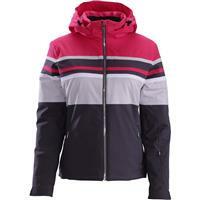 A down ski jacket is a good one to consider. 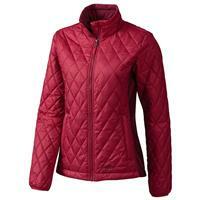 These coats have lots of benefits and come in lots of different styles and colors. You'll definitely be able to find just the right one after you decide that down is the best way to go. 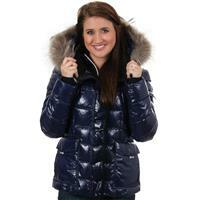 Look through all of our down and synthetic down parkas below to find just the right one. 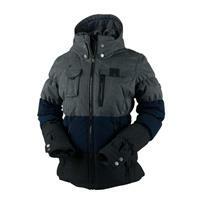 A down jacket is one type of insulated winter jacket. But what is down? It's soft under-feathers that come from ducks and geese. These feathers keep the birds warm and are underneath the outer feathers that help resist water. 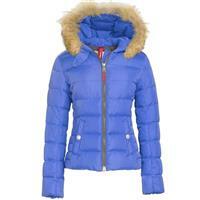 You can also opt for a synthetic down lining, which is made from replicated feathers, not the real ones from birds. 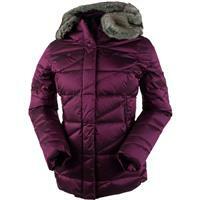 Down jackets work this way: the feathers create little pockets of air within the lining that trap and keep heat better. Both down and synthetic down have their own unique advantages and disadvantages. 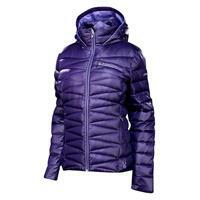 A down ski jacket will be warmer than a synthetic down jacket. They will also be more lightweight. 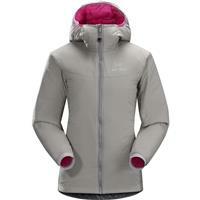 On the flipside, a down jacket is more expensive than its synthetic cousin. 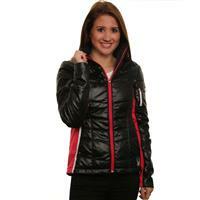 This type will also not dry out as quickly as a synthetic down jacket if the inside lining gets wet. 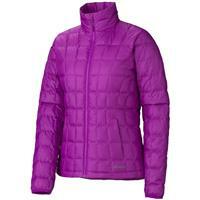 A synthetic down jacket has most of the same benefits as a down jacket. It will be heavier than a down jacket, though. 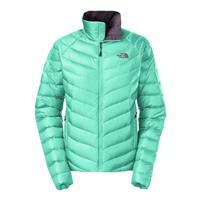 The main reason that skiers and snowboarders go for a synthetic down jacket over a regular down jacket is the price difference. If you get most of the same benefits, why pay more? Whichever type of down jacket you choose, you're sure to pick something that will make a big difference while you're out on the slopes. Let Buckman's Ski and Snowboard Shops help you with all of your skiing, snowboarding and winter sports needs!